InTech founders Aleksandar Lazinica and Vedran Kordic, started out in 2004 with an inspiring mission to utilize the disruptive potential of Open Access to broaden access to knowledge. InTech started publishing journals and books covering fields of Artificial Intelligence, Robotics, Manufacturing, Operations Research, Environmental Engineering, Nanotechnology, Computer Science, Renewable Energy and Electrical Engineering. However, from 2010, InTech is continuously expanding its publishing program, and is branching out to fields such as Medicine, Biology and Biotechnology encompassing a broad spectrum of disciplines. Printed Journals will move to a Print On Demand model. A few copies will be made for libraries and will retain some status for scientists as the article of record. But usage will shift almost entirely to digital delivery and publishers won’t make money from printed journals. Open Access will replace Proprietary Data in the same way that Open Source has replaced commercial software. This means that there will still be some Proprietary Data, but the default option will be Open Access. Most of the big commercial STM publishers will go through a period of trauma. Investors question the quality of their future earnings in this new world. There will be some cutbacks and mergers (some of which may be “fire sales”) and then some of them will show how they can grow their profits in this new world. One new “publishing” venture will break through into the mainstream. They will become a big success, recognized by the market via an IPO. The venture will avoid the term “publishing” to describe their business as that sounds like the old model. This new venture will mix traditional peer-reviewed publishing with semantic web technology and peer/social networks to deliver major new value to scientists and the institutions they work in. The debate will move to a broader plane of public policy. STM publishing costs will be seen within the wider context of the funding issues in higher education and the economic impact of more scientific research. This wider debate will lead to some new regulation that will accelerate the move to open access, but as with all regulation there will be some difficult unintended consequences. 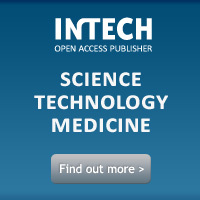 This entry was posted in InTech, Open Access and tagged Disruptive Technology, InTech, InTechWeb, OA, Open Access, Scientific Publishing. Bookmark the permalink.